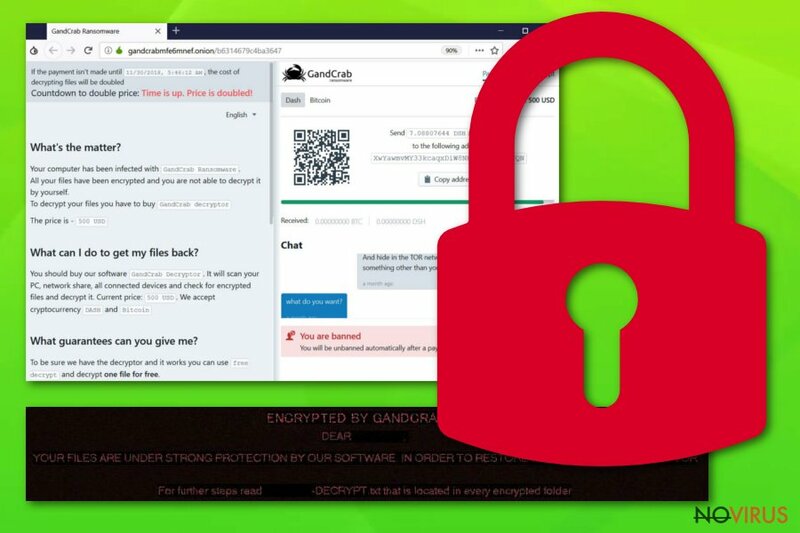 Gandcrab 5.1 ransomware is one of the newest variants of the notorious virus that locks up data and requires to pay a ransom of $1,200 – $2,400 in Bitcoin or Dash to recover access to pictures, videos, music, documents, databases and other files. 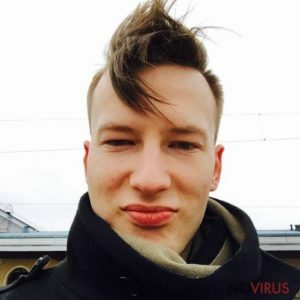 This particular malware strain has been one of the most prolific culprits, infecting thousands of users around the world by spreading using exploit kits (such as Fallout), unprotected RDP, spam emails, and other methods. Once installed, Gandcrab 5.1 virus performs several system modifications, then uses Salsa20 for encryption to append a random string as a file extension. [victim’s_ID]-DECRYPT.txt is dropped on the desktop, and the wallpaper swapped to a brief message, explaining the situation to the victim. Unfortunately, Gandcrab 5.1 ransomware is not yet decryptable, although experts are continually working on decryption tools. 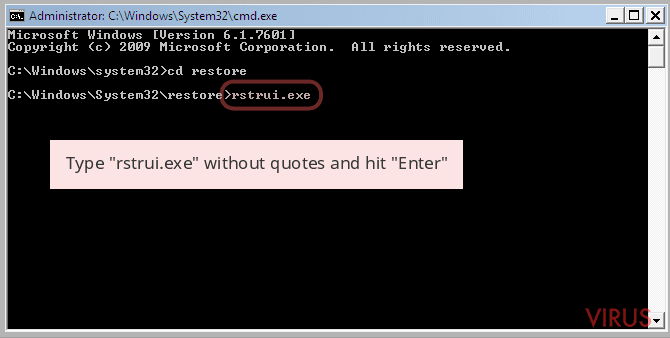 Distribution Exploit kits, repacked installers, spam emails, unprotected RDP, etc. 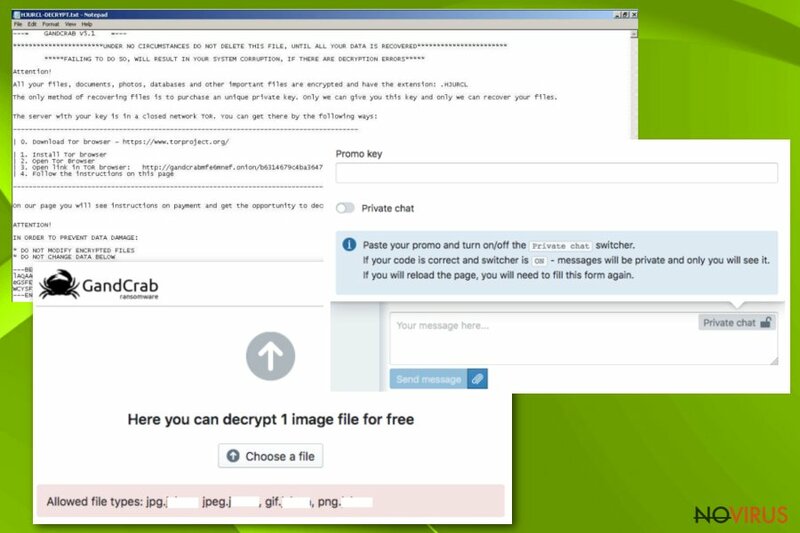 Gandcrab 5.1 ransomware is widely spread around the world and does not target specific regions. Therefore, the possibility to get infected is quite high for those who are careless when using the internet. If that is the case, you should use this guide to remove Gandcrab 5.1 ransomware completely. Once the malicious payload is executed, Gandcrab 5.1 virus will remove Shadow Volume Copies, modify Windows registry to launch with every system start and make other changes. File encryption follows straight away, and victims can notice within seconds that something is wrong. YOUR FILES ARE UNDER STRONG PROTECTION BY OUR SOFTWARE. For further steps read BUJYSH-DECRYPT.html that is located in every encrypted folder. Experts do not advise users contacting cybercriminals because there is a high chance of being scammed. Additionally, this motion would prove to malicious actors that Gandcrab 5.1 ransomware works and will attempt to develop and improve the virus further. Unfortunately, that is precisely what seems to be happening with the virus family, as new variants are coming out faster than researchers manage to create decryptors. Thus, better take care of Gandcrab 5.1 ransomware removal first (we suggest using security software like Reimage, Malwarebytes MalwarebytesCombo Cleaner or other tools that can detect this version) and then proceed with file recovery. Check the guide for the process at the end of the article. Ransomware is one of the biggest cyber threats currently. It is continually being evolved and even collaborates with other threats, such as data-stealers, crypto-miners, backdoors, and similar. Furthermore, the malicious software may result in data and money loss. Therefore, users should avoid this dangerous encounter at all costs. Scan downloaded installers and other files with such tools like Virus Total. Finally, we suggest you backup your files regularly on an external drive or a virtual machine. Gandcrab 5.1 ransomware removal should be executed as soon as possible. For that, you should use anti-malware software. 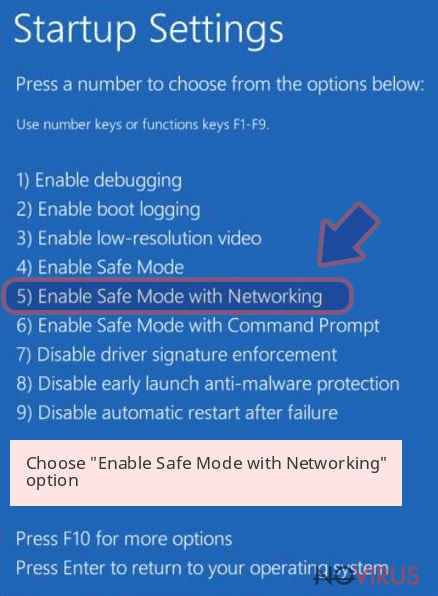 If you do not have such a tool installed (which is highly likely), you should download one from trusted vendors. You should also be aware that not all AV engines are capable of Gandcrab 5.1 virus elimination, as they use different databases. In such a case, download a separate application and scan the device again. Once you remove Gandcrab 5.1 ransomware thoroughly, you can attempt file recovery. Unfortunately, there is no official decryptor available for this version. However, numerous tools were created in the past, and security researchers are continually working on cracking the new versions of this malware string. As of now, you can try our decryption solutions below – these are third-party tools that might be able to return at least some of your data. Note: make a copy of all your files before proceeding. Sign in to your account and launch any Internet browser. Download a legitimate anti-malware software, for instance, Reimage. 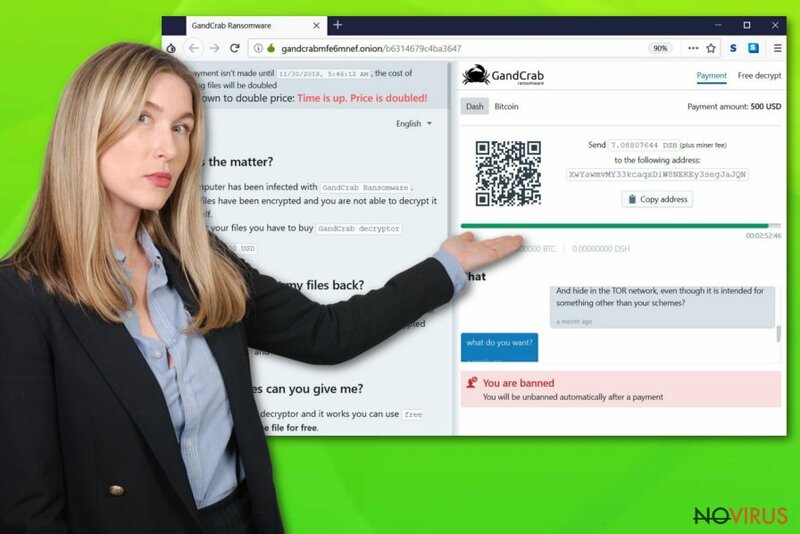 Make sure you update it to the latest version and then run a full system scan with it to detect and eliminate all malicious components of the ransomware to remove Gandcrab 5.1 completely. In a new window that shows up, click the Next button and choose a restore point that was created before the infiltration of Gandcrab 5.1 and then click on the Next button again. 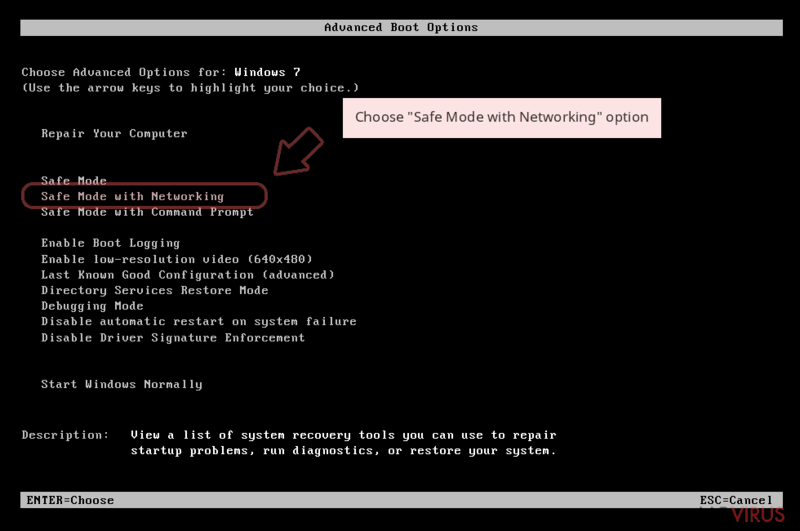 After restoring the computer system to an antecedent date, install and check your computer with Reimage to uncover any remains of Gandcrab 5.1. 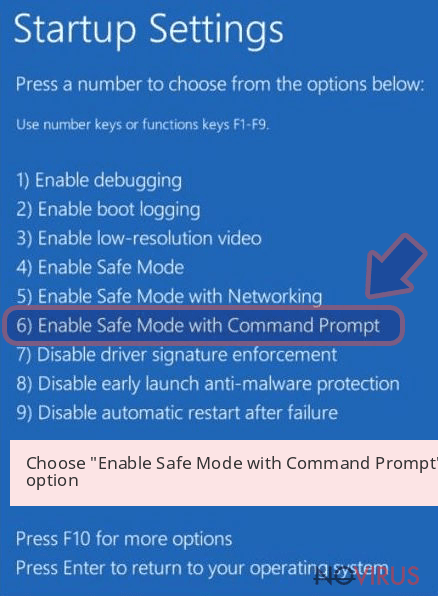 Using the tutorial provided above you should be able to eliminate Gandcrab 5.1 from the infected device. novirus.uk team has also prepared an in-depth data recovery guide which you will also find above. This application is a professional tool that might help you with file recovery affected by Gandcrab 5.1. 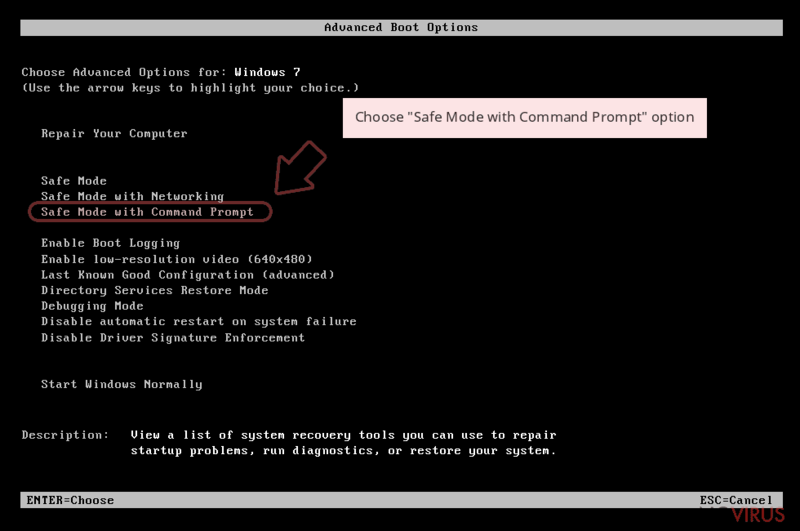 This method will prove to be effective for separate files as long as you did enable System Restore before malware attack occurred. If the virus failed to eliminate Shadow Volume Copies, this software would get all your data back. It is strongly recommended to take precautions and secure your computer from malware attacks. To protect your PC from Gandcrab 5.1 and other dangerous viruses, you should install and keep a powerful malware removal tool, for instance, Reimage, Malwarebytes MalwarebytesCombo Cleaner or Plumbytes Anti-MalwareMalwarebytes Malwarebytes. This post was published on 2019-04-01 at 00:54. Category: Ransomware, Viruses. What method did you use to remove Gandcrab 5.1 virus? Cannot remove Gandcrab 5.1 virus?